I'm still reeling from the second season's finale which aired here in the US last night. I think Stephanie put is best when she said that there was more drama squeezed into this one 90 minute episode that in the entire season. 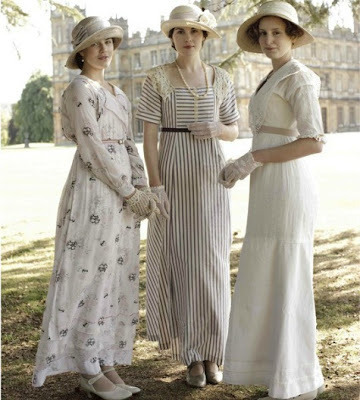 Besides all the drama the next best thing about Downton is the clothing. Especially the Crawley sisters' wardrobes. 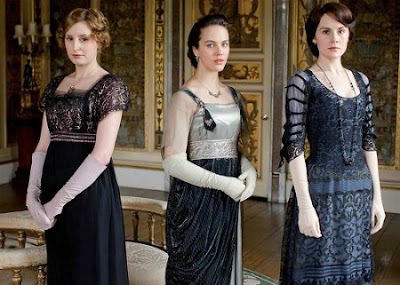 While the older characters like the Dowager and Lady Crawley continue to wear the traditional corseted, high waisted Edwardian fashions of the early 1900s, the younger character wardrobes illustrates the evolution of the Edwardian style into the looser, flowing clothing of the roaring twenties. Who could forget when Sybil arrived to dinner dressed in harem pants? What scandal! Want to get the Downton Look? Here are some options for bringing out your inner heiress. 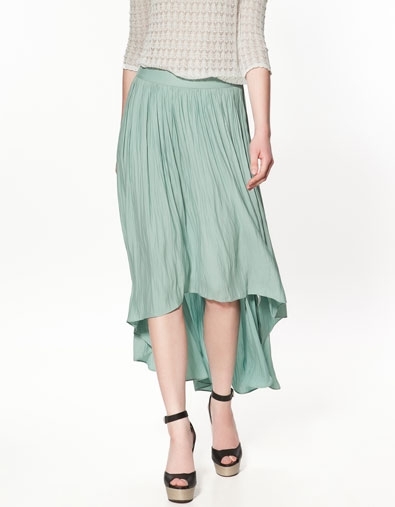 For the daytime, look for flowing blouses that can be tucked in to longer skirts. 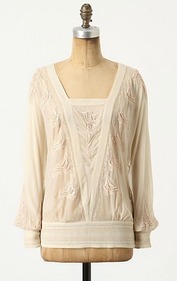 Edwardian styles would typically have a camisole-like fitted layer beneath a loose, long-sleeved blouse. Today, we can get away without this corseted bit. Lace and embroidery were also hallmarks of the Edwardian period. I love the way this dress has a translucent embroidered layer covering the décolletage but a rather risque key-hole back. And we can't forget the evening wear. Probably the most beautiful part of the wardrobe. Look for beading, tight waists, and gauzy over-layers to incorporate the late Edwardian style at your next black tie event.